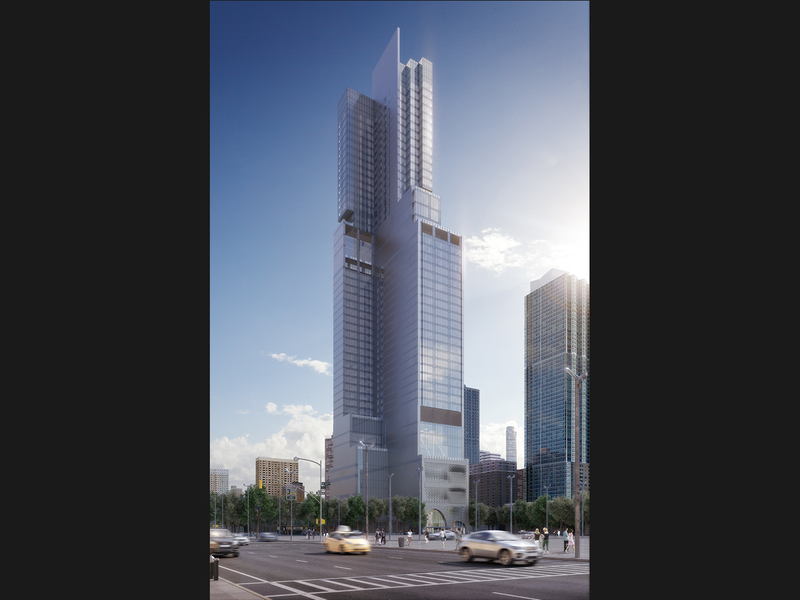 Hudson Yards mixed-use building is a new 48-story, 621,000 SF project that incorporates commercial, exhibition, retail, hotel and residential uses. The base of the building provides a vibrant multi-use commercial environment topped by a 421 key hotel and 135 residential units. The continuous green element shown in the concept diagram represents contiguous amenity and social spaces, providing a unifying element for all functions. The design blends high productivity while addressing contemporary trends – luxury amenities include indoor/outdoor terraces, courtyard skylights that maximize natural light, an indoor pool with double height ceiling space, a wellness center as well as a parking facility.